Unilorin 300L Student’s Withdrawal: Self Righteousness or Genuine Restitution? The news of the 300 Level Unilorin student Abolarin Akin Jephthah has been buzzing on social media lately and i just feel the need to say something about it as a fellow Christian. The young man who said he just genuinely got born-again and needed to make his restitution submitted a letter of withdrawal on August 12, 2016 to the Deputy Vice chancellor (Academics) of the institution of his desires to withdraw on the grounds that he got his WAEC result through malpractice. “From my standpoint as a Christian I think that decision was not properly thought over. After all we live in a dispensation of grace, he could have just prayed for forgiveness and let sleeping dogs lie. Does this mean he’ll restitute everything starting from when he was born… That’s the question he should have asked himself before taking that decision. He should have sought for advice from Christian elderly people who understand the concept of restitution than he does and also pray very well about it. Let us hope he doesn’t regret this action and end up frustrating himself and his parents. Wishing him all the best in his new found faith” A Christian commented. If we are to follow the what the bible says here, how does one restitute WAEC Certificate with 20% which is a fifth? 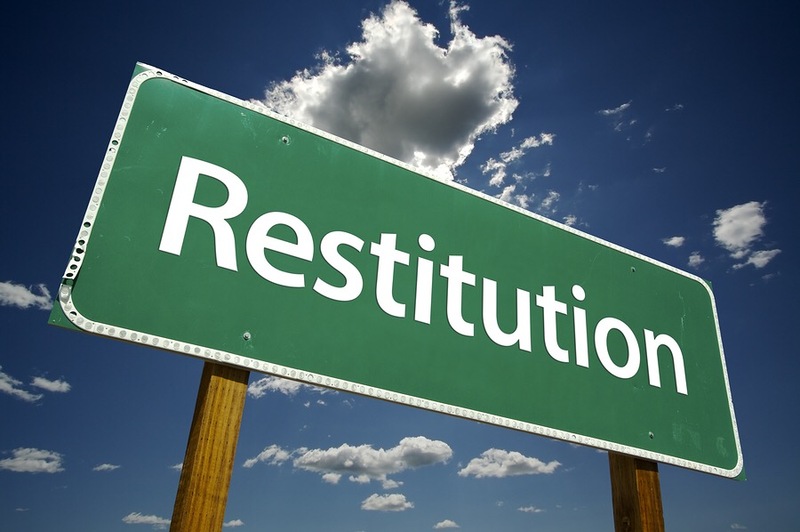 We all need to know that restitution is one of the steps of reconciliation, an integral part of it. The effective process of reconciliation is one in which offenders (1) respond to the conviction that they have done wrong, (2) are willing to confront the person(s) they have offended, (3) confess their guilt, (4) repent (turn away from their wrongful behavior), (5) humbly accept forgiveness, (6) voluntarily make restitution by paying for harm or damage done, (7) are diligent to restore the relationship, and (8) are committed to a permanent reconciliation. So in my own opinion, I think the reconciliation starts with the WAEC board, and he would have continued with his academics if WAEC are able to forgive him. I mean if WAEC can accept his confession and forgive him, the institution can’t stand in his academics way.